Sick of planting conifer trees to feed the Deer?? 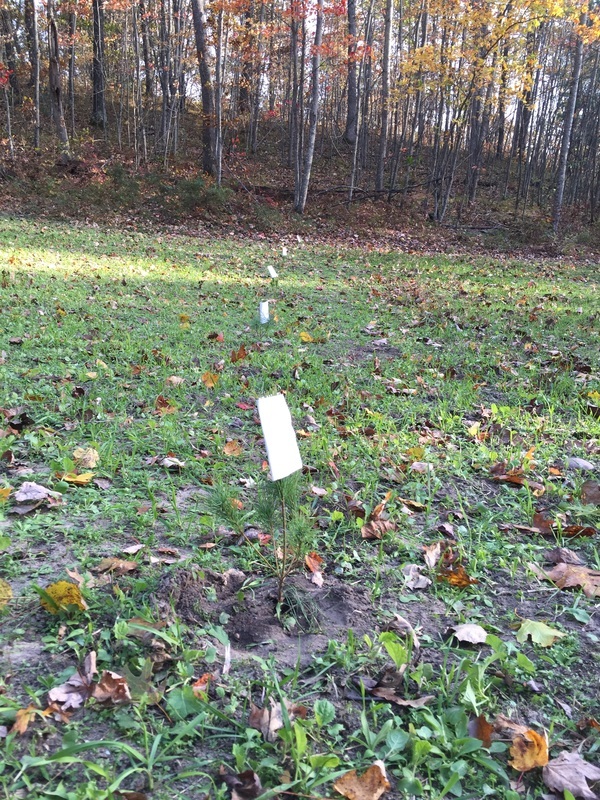 Bud capping is taking a sheet of paper and stapling it over the terminal (tallest bud) to prevent deer from eating it off and stunting the growth of small trees. 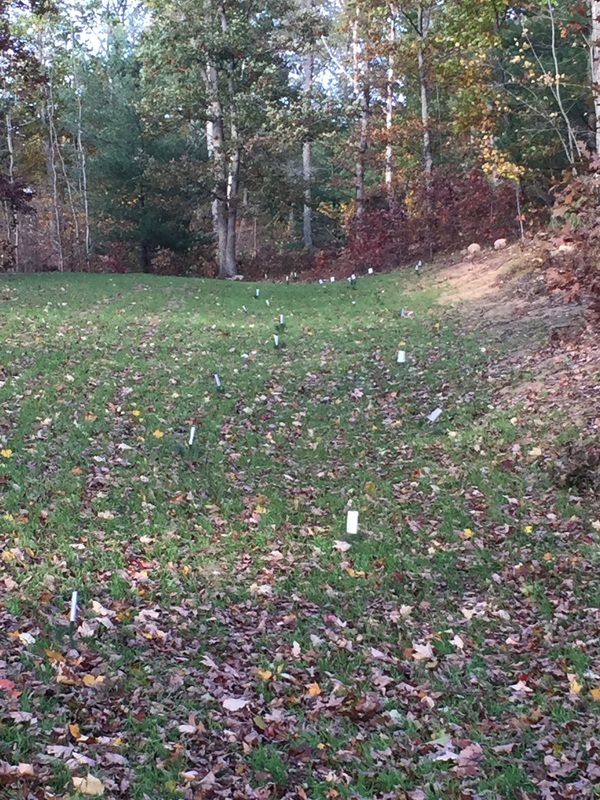 Each fall staple a new sheet until the trees are 4-5ft tall out of deer range. Paper is biodegradable so is safe to use. Staple the paper on 3 times and get some needles in the staple to secure it on and prevent it from just blowing off in the wind. OAK WILT! - Has its own Tab! Don't let Frost Cracks ruin your Trees!!! Not only us humans need winter coats, some of our trees do too! Winter is upon us and now is the time to prevent young trees and other yard trees with thin bark or planted trees from FROST CRACKS! Frost cracks are vertical cracks running up and down the trunk of the tree. This occurs when the sun during the day warms up the trunk of the tree causing the tissues inside the tree to expand and then the bitter cold drops temperature quickly causing the outer trunk of the tree to contract faster then the inner tissues and causes a pressure on the outer bark, causing the crack. These cracks on trees can be dangerous due to the increase of susceptibility to disease. Its an easy entry for woody decay organisms-insects, fungi and bacterias. Common trees to watch out and protect include maples, walnuts, oaks and fruit trees. 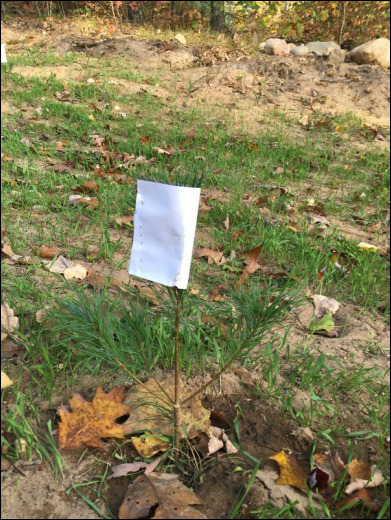 It is also important to protect younger trees, including recently planted trees-- they have not developed the strength and if they do get frost cracks it will lead to a faster mortality of the tree when diseased. Prevention is key. Wrapping trees from the ground all the way up to the first main branches is the best prevention method. 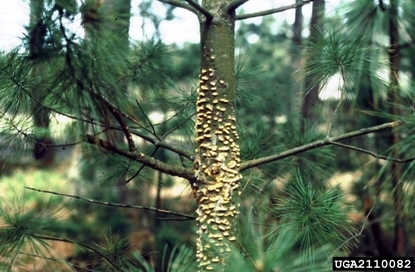 White Pine Blister Rust causes cankers on the lower branches of the tree. The alternate hosts are gooseberry and currant. May- In May cream colored blisters form on the bark where the cankers have injured the tree. The blisters will break open and release spores of a powdery orange-yellow color. These spores then infect the gooseberry and current plants. June to July- The yellow-brown blisters on the cankers produce a sticky orange fluid that eventually hardens and turns black. 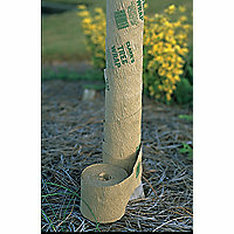 (This will attract rodents to tree). Because White Pine Blister Rust is common in younger trees- inspect your trees year round for this signs, especially if you have gooseberry or current species present. Look for the cankers on branches or trunks and for orange blisters. If you find an infected tree remove the tree before it harms others or remove/prune infected branches if not yet spread before August. Also removal of alternative hosts before August to stop spread. Forester: See the forester page for her full bio. Upcoming Events﻿: Check this page frequently to see forestry-related events with the Clare Conservation District! Landowner Assistance: This page provides an overview of the assistance offered by the district forester. Qualified Forest Program: Wondering what the state tax incentive program is all about? Start here for answers! Qualified Forester List: If you need a plan writer, this is the page for you. Finding the right professional: Trying to make sense of all the different titles related to forest and tree care? This page can help. Project Referrals: This page is for forestry professionals, and gives them an opportunity to connect with landowners in need of forestry services.